This charming diamond floral ring instantly qualifies as one of the classiest piece of jewelry that a woman can wear. 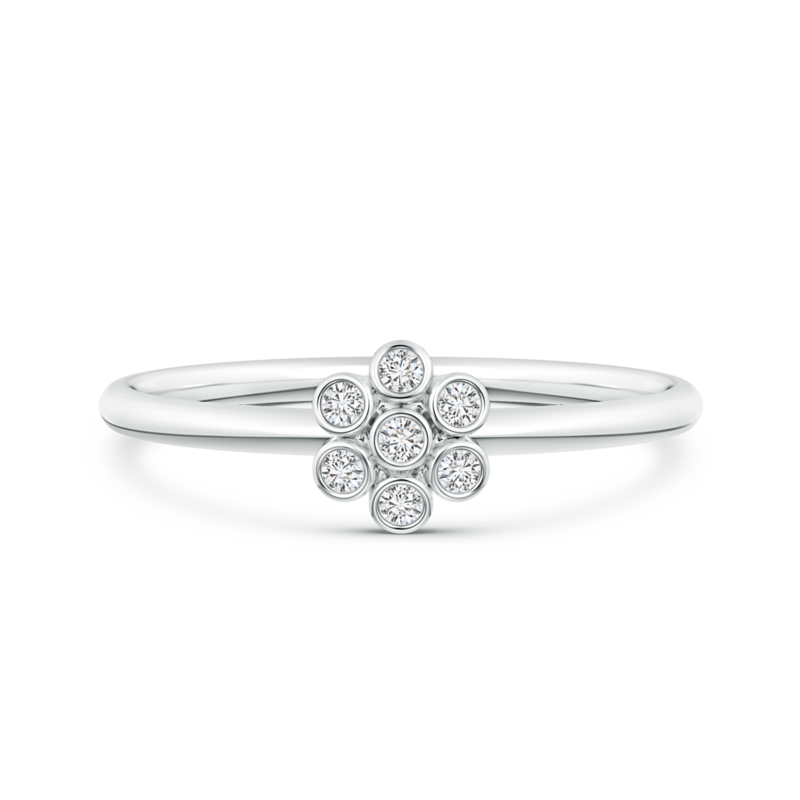 Its design showcases resplendent lab grown diamonds that cluster together like a beautiful flower in full bloom. These bezel set, eco-friendly gems infuse their brilliance and purity into this fine piece and make it a priceless possession. The 14k white gold metal elevates the overall appeal and creates the perfect backdrop for an elegant piece of jewelry.